Genkan is Customer Relationship Management software for Self-Catering Holiday Rental’s and Short Term Rental property management. Customer Relationship Management (CRM) is a strategy for doing business and managing a property management company’s interactions with customers, clients, owners, internal service and sales prospects. Genkan can not only organise, automate, and synchronize business processes—principally sales activities, but also marketing, customer service, accounts and property maintenance all at one point. genkan’s overall design goal was to find, attract, and win new clients, nurture and retain those the company already has, entice former clients back into the fold, and reduce the costs of marketing and client service. 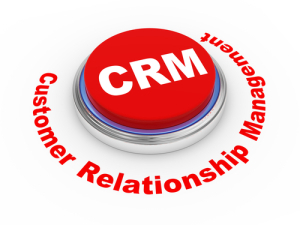 CRM describes a company-wide business strategy including customer-interface departments as well as other departments. Measuring and valuing customer relationships is critical to implementing this strategy as is the data collected. genkan achieves all of this, whether it is simply a means of capturing all customer communications to having a fully automated property management business work flow solution, genkan can help YOU get there. 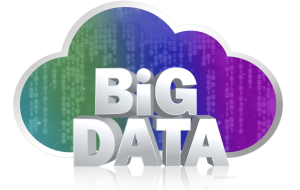 genkan’s CRM methodologies are focused on building individual customer relationships for the purpose of creating and maintaining a loyal return customer base by nurturing the big data required. genkan works across all area’s of your property management business to help harmonise customer-centric thinking in the entire organisation. This inter-departmental cooperation also reduces cost, increases efficiency, eliminates mistakes and in the long term will improve the customer experience. With Genkan’s Customer Relationship Management – CRM and the Genkan Big Data application, no longer do we rely on conclusions based on vague and imprecise relationships such as “we advertised last week and sales increased so it must have worked” or “the objective was awareness and clearly many people are now aware of us”. Today’s CRM marketing through Genkan enables us to identify who to work with to make a sale, right down to the individual level. What’s more, we can personalize and customize our marketing and message to each specific person, no matter how many people there are. We can even customise and personalize website pages depending on who’s viewing them. It’s all about the data, make better decisions about who and how to engage, and then build better content, campaigns and programs and Genkan makes it all possible. In order to execute your marketing strategy in the most effective way, you’ll need your business management platform (or CRM) and marketing automation tools to work together seamlessly; using one to generate leads, and the other to maintain them, so you can get a complete picture of your business. Genkan does this. Whether you are a small start-up company with ten properties, or a large company which manages hundreds, genkan can provide the functionality and expertise to help you take your program to the next level. genkan is a ‘cloud’ based system which mean that it can be accessed from anywhere in the world, on your PC, laptop, iPad or mobile smartphone and is hosted on a dedicated server by Digital Pacific in it’s Australian Data centre.